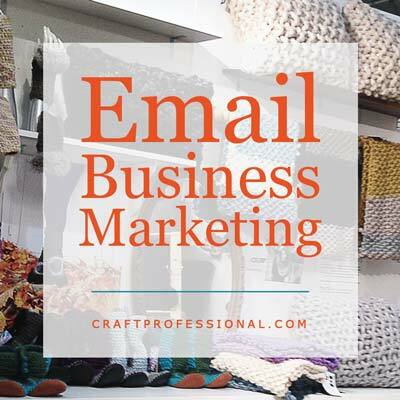 Email marketing open rates refer to the percentage of subscribers who actually open the emails you send them. Your newsletter open rate is an important statistic to watch because it helps to tell you if you're doing a good job engaging your subscribers. 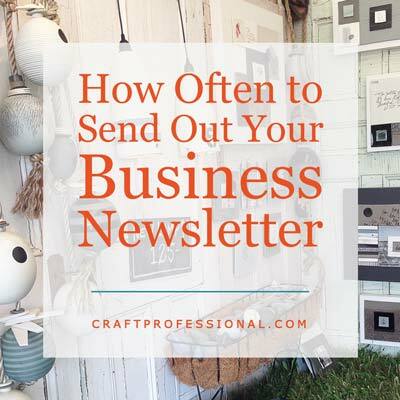 Once people sign up for your newsletter, you need to keep them interested. 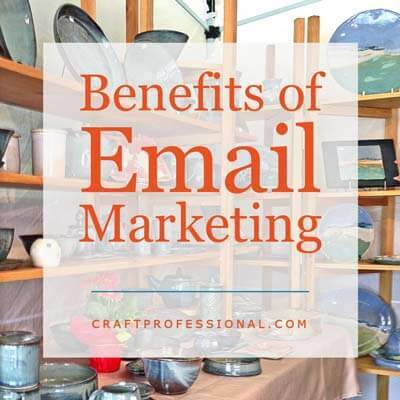 That means you need to apply some best practices that work in email marketing. Watch your newsletter's statistics, particularly open rates, as well as unsubscribe rates, to see how your readers respond, then adjust your approach when necessary. 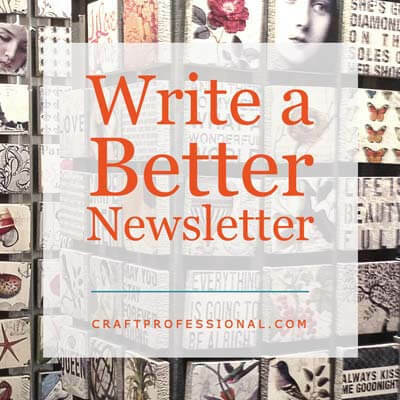 Your subscribers signed up to receive your newsletter for a reason. What was that reason? What did you promise them when you encouraged them to sign up in the first place? 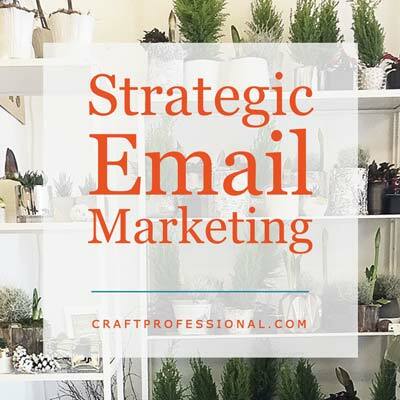 Whatever expectations you set up when your subscribers entrusted you with their email address, you need to fulfill those expectations when you send your newsletter if you want to keep your open rates high. 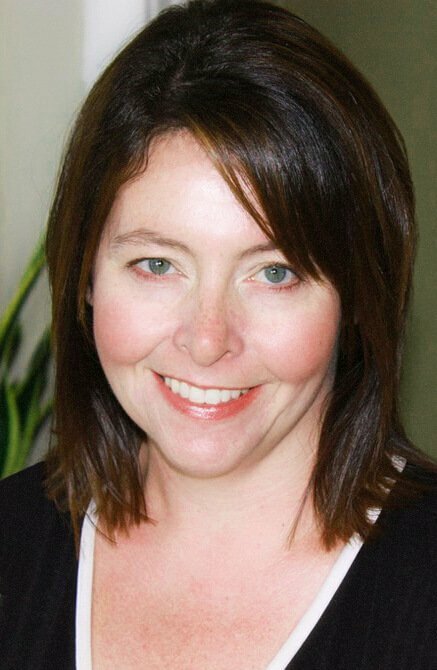 If you said you would share all kinds of tips and information related to your niche, you need to provide that in your newsletter. If you promised special deals and promo codes for subscribers, you need to include those from time to time in your emails. 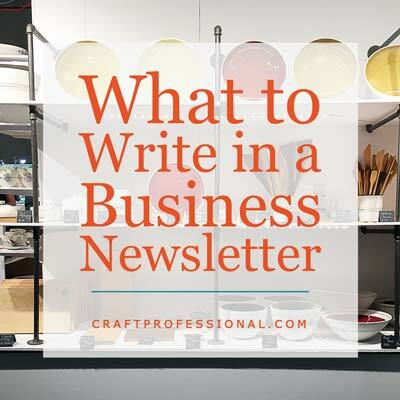 You can vary your newsletter content, but you do need to ensure your subscribers feel you have delivered on any promises you made when they signed up. 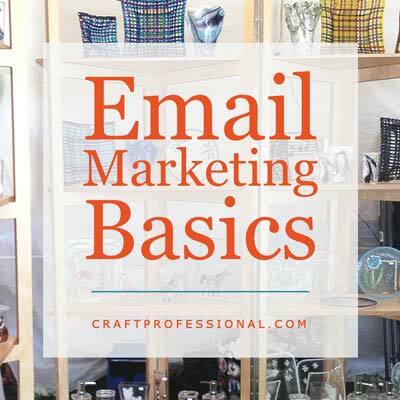 Your email's subject line has a huge impact on whether your newsletter gets opened or not. Subscribers scroll through emails, quickly deciding what they will read and what they will delete. You need to grab their attention fast. First, it should be clear at a glance who the email is from. You can accomplish that by including your company name in the "from" line of the email. 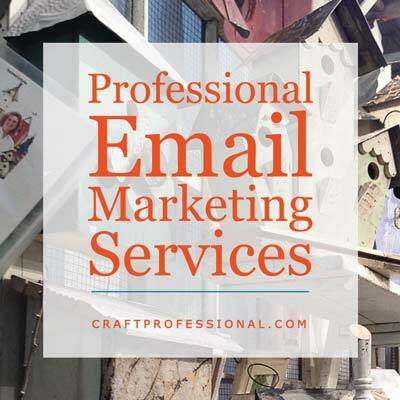 The service you use to send out your newsletter will be able to automatically add the subscriber's name in the subject line of your email as long as the subscriber provided a name when he or she signed up for your newsletter. It's just a matter of adding a simple tag to the beginning of the subject line. I don't require people to provide a name on my newsletter sign up form. It's optional because the less information you ask for, the more likely someone is to sign up. Those who provide a name upon sign up get a personalized email with their name in the subject line. Those who don't provide a name get exactly the same email without their name in the subject line. 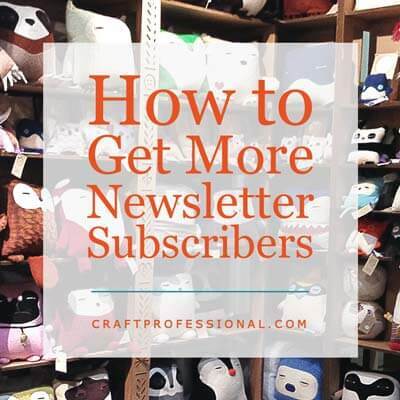 The ability to add subscribers' names to your email is a fairly basic feature, and your newsletter service provider will have instructions for setting this feature up. Your email subject line is not the place to get cute and fancy with your language. You need to clearly tell people what they'll find if they open your email. Avoid cutesy headlines that sound clever but don't tell the reader what's inside. It's smart to think about how a subscriber will benefit from opening your email. What will they get out of it? Think about the subject line from a potential customer's point of view, and ask yourself what would motivate him or her to click to open it. More and more, people are opening emails on mobile devices with smaller screens. That means, you may get better open rates if you keep the character count on your subject line low. You can send yourself a test email and see how the from line and your subject line appear on a desktop or laptop computer, a smart phone, and on a tablet if you have one. Ask yourself if you can, at a glance, see who the email is from and what it is about, or are important parts of the message cut off because your character count is too high? Adjust the length as needed, and be sure to check the first few times you send your newsletter to ensure your message is getting across. I've been writing my newsletter for ten years, and I still subscribe to it myself and check it out every time I send one. Your newsletter service will allow you to preview and check your emails before you actually send them out, so you can find and fix any mistakes before the newsletter goes to your subscribers. However, it's always wise to subscribe to your own newsletter just so you have a good feel for the customers' experience when they receive your email. When I write my newsletter, I don't imagine I'm writing to the thousands of people who have subscribed. Instead, I imagine a few, specific people who will be reading it. 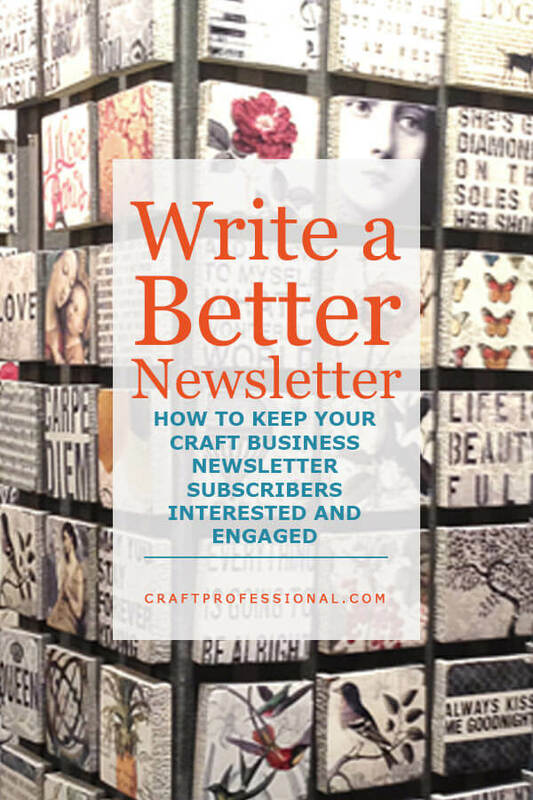 I think of some craft professional friends I have, and I think of a few readers who have contacted me and I've gotten to know a little bit through email exchanges. I imagine I'm writing for those people, and, I believe, it helps me to be a better writer. It certainly causes me to raise my standards. When I imagine my neighbor might read the newsletter, and I know I'll see her while we are walking our kids to school the next morning, I want to make that newsletter is as helpful as possible. When I think of the readers who have written to me to say how much they have learned from the newsletter, I don't want to disappoint them. You might think the idea of writing for thousands of people would cause you to require more of yourself. But thinking of a few, known people who you don't want to disappoint is often more helpful. My neighbor and I have spent a few mornings standing on the street after dropping our kids off at school talking about building a craft business. When I write something, and I'm not convinced it sounds just right, I'll ask myself, if my neighbor and I were talking about this, how would I express the idea to her? When you imagine you're talking with a friend while writing your newsletter, you avoid writing in a way that comes across as a tacky agressive sales pitch. Nobody wants that in their inbox. Finally, once you've finished writing your newsletter, read it out loud. Reading out loud is a spectacularly helpful way to improve your writing. When you read out loud, you can't skim over sections, and that means you'll be more likely to find mistakes. If the newsletter flows well when you read it out loud, it will flow when someone reads it silently. If you stumble as you read a section out loud, it's not hanging together well, and you need to rephrase what you've written. You've done your best to ensure subscribers will open and read your newsletter, now it's time to find out if your strategies are working. It's time to take a good look at your newsletter's statistics!